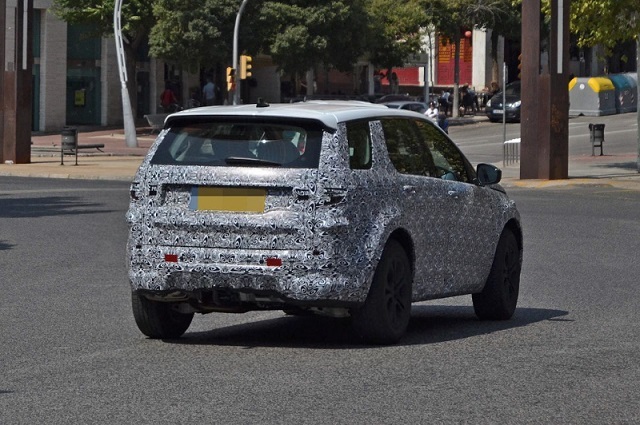 This is not the first time we’ve seen the refreshed 2020 Land Rover Discovery Sport while it is doing road testing, but it’s the very first pre-production prototype without any doubt. In contrast to earlier mules that were paired with the old “suit”, this one shows plenty of new styling cues. 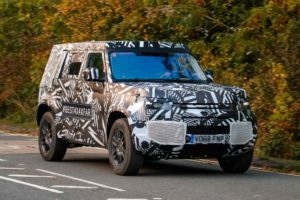 Just look at the front end of the camouflaged prototype and you will realize that the SUV features much larger air intakes and rounded corners. 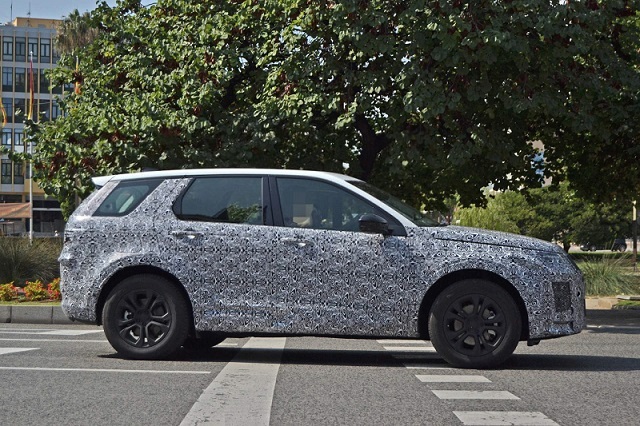 In addition, the updated Discovery Sport appears to host a pair of Velar-based headlights and a totally new grille design. Around back, the British automaker added a set of refreshed taillights and new bumper along with sporty exhaust pipes. The major makeover includes an updated architecture, too. 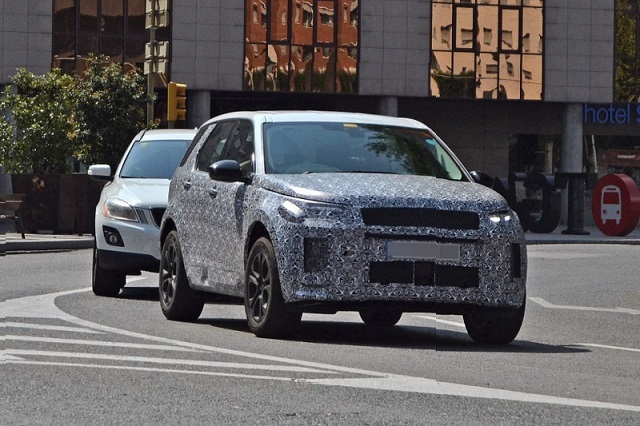 As far as we found out, the 2020 Land Rover Discovery Sport will ride on the updated Premium Transverse Architecture (PTA), which will be in charge for the new Evoque as well. Unofficially, the PTA chassis will ensure around 40 percent better throttle response from today’s D8 and a significantly stiffer body. That’s not all, as the architecture allows more options under the hood, including the hybrid technology of course. That’s very important because the British carmaker plans to a mild-hybrid system which will boost SUV’s fuel economy. Plus, the new PHEV model is going to combine a 1.5-liter turbocharged an electric motor. The 2020 Disco Sport will probably keep the rest of the lineup untouched or slightly upgraded. The current 2.0-liter turbocharged gasoline and diesel options are pretty new, so we so we don’t think that the carmaker has no intention to change anything essential. Some reports claim that the topping 286-hp model may be updated to deliver 300 ponies, but that’s not confirmed yet. 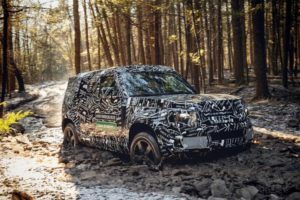 Inside, the 2020 Land Rover Discovery Sport will get a set of same changes as the Evoque and Velar. Meaning, the crossover is going to have a double-screen design and better-quality materials. The automaker will most likely try to reduce noise inside, while the new chassis should improve cargo volume and ride quality.